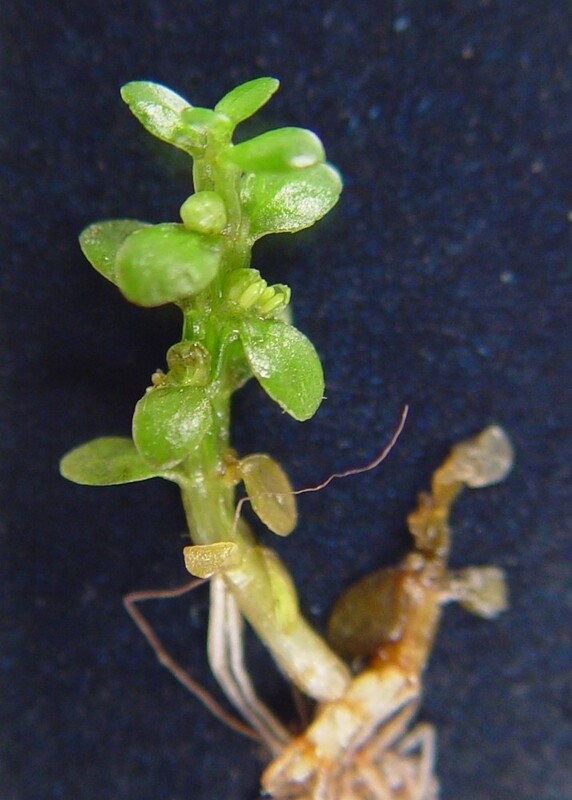 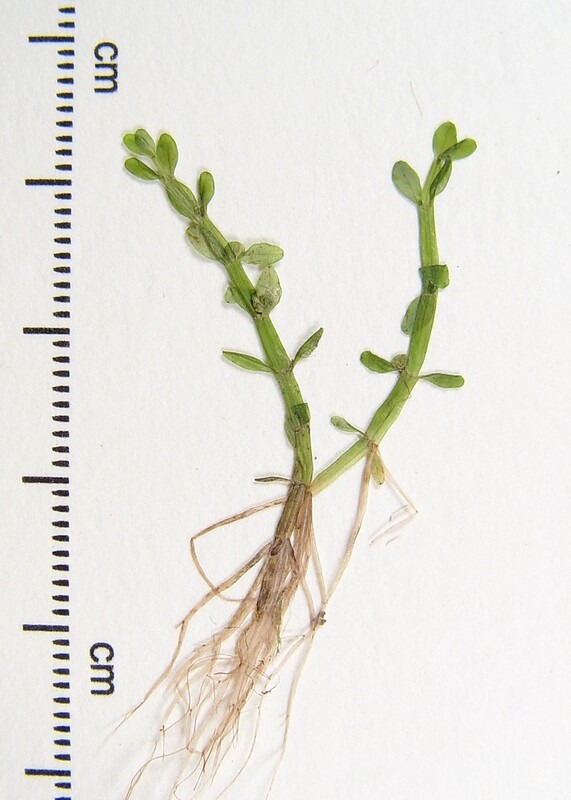 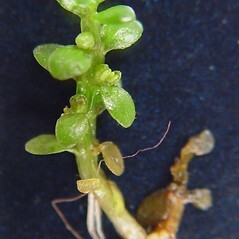 Small waterwort is a tiny annual water plant is found in freshwater lakes from just under the surface to about ten feet down. 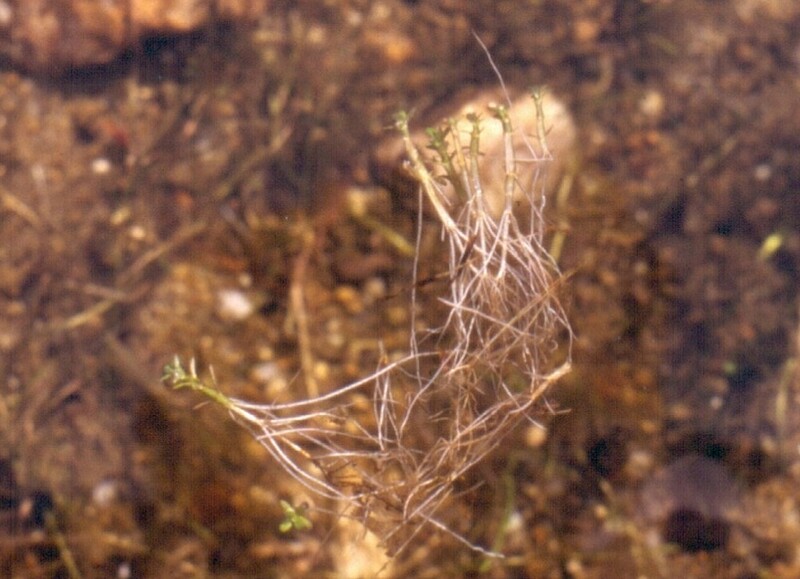 It often colonizes abandoned nest sites cleared of vegetation by Centrarchid fishes (sunfish family). 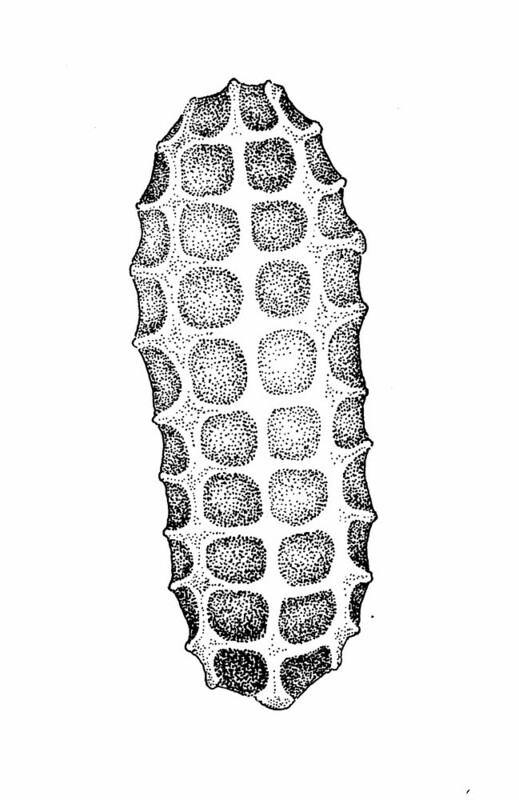 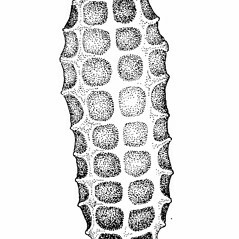 seeds set at different levels in the capsule, with angular-ended areoles that dove-tail with and alternate with the ends of the other areoles, therefore the longitudinal ridges of the seeds relatively less conspicuous, and flowers usually with 2 sepals and 2 stamens (vs. E. minima, with seeds all set at approximately the same level within the capsule, with round-ended areoles that +/- meet the ends of adjacent areoles, therefore the longitudinal ridges of the seeds relatively distinct, and flowers with 2 sepals and stamens). 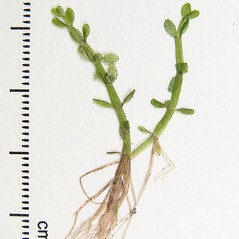 small waterwort. 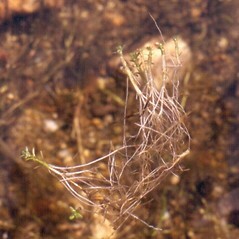 CT, MA, ME, NH, RI, VT. Lake shores, typically on muddy substrate, frequently submerged in shallow water.